Add a quarter cup of vinegar to one cup of water and boil the solution in your microwave for three minutes. The walls of the oven’s interior will be coated with scalding hot acidic humidity. 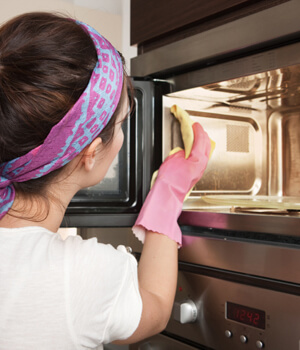 No elbow grease required: simply sponge away the mess.